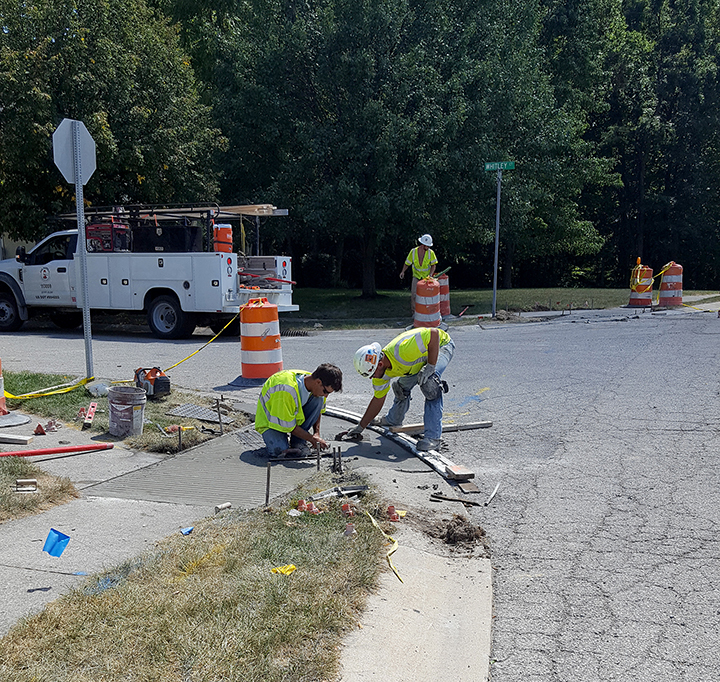 A few weeks ago, Noblesville began its street rehabilitation projects. The projects are aimed to make improvements to infrastructure in the city. The city said this year’s list of rehabilitation projects has expanded to include more asphalt replacement than prior years. “Noblesville’s $1.8 million road and alley repaving project contains projects in every quadrant of the city and will positively impact resident’s neighborhoods and traveling motorists,” Mayor John Ditslear said. City Engineer John Beery said projects include 6.8 miles of street and 0.9 miles of alleys in Old Town. Resurfacing projects include the neighborhoods of Wellington, North and South Harbour, Monterey Village, James Place, Prairie Crossing, Cumberland Pointe, Old Town and various thoroughfares. City officials said signs are placed on-site one week before construction begins, and mailings will be sent to affected homeowners. Local residents and drivers should expect some inconveniences, including traffic delays, temporary loss of street parking, construction noise and access restrictions. Project status and updates will be reported via the city’s social media feeds. For more, contact the Noblesville Engineering Dept. at 317-776-6330. North Harbour: Banbury Road (Carrigan Road to Queensbury Drive), Queensbury Drive, Westchester Boulevard (Cheshire Circle to end of street), Harbour Trees Lane and Wesley Circle.